Is Big Glass Really that much Better? Afraid of High ISO Values? Should I be Shooting in Manual? « What’s the Best Tripod? When doing work for a client, it is important to understand what the images may be used for in the end. Although you are being hired to take a quality image, it is often for a very specific purpose, something that needs to be completely understood and taken into consideration before you start snapping. Remember that although you are being hired because of your abilities, your task is not to make your photography shine but to make your client or their product shine. 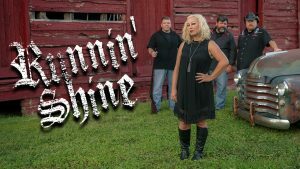 In this case, with the band, Runnin’ Shine, the image was to be use for promotion, primarily on social media. The two major platforms for advertising in the local scene are Facebook and Instagram. While Facebook can handle images of almost any aspect ratio, Instagram images are primarily square. The photographer needs to take these final use requirements into consideration. Photographers are taught to compose in-camera and take as tight a shot as possible. For many end uses, a tight shot will look great but be unusable. I captured all of my shots with plenty of empty space around them to allow for cropping of various aspect ratios and placement of graphics. While I took this one horizontally, I shot all of the scenes vertically as well. Facebook in particular uses several different sizes. For example, an image for an event notice is best at 1920 by 1080 pixels, profile pictures are square, at 180 by 180, while cover photos are nearly 2:1 at 828 by 465. 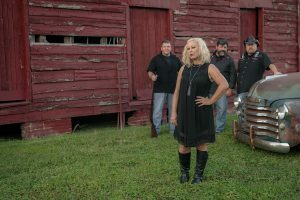 I considered the effect of depth of field in this scene to single out the band’s centerpiece performer while still providing adequate focus of the others. Depth of field is a product of not only aperture but also focal length and distance between the viewer and the subject. Although I could have made sure everyone was in focus, the intent of this shot was to single out one while still allowing the others to be an important part of the shot. In this case, I chose wide open at f2.8 to provided the shallow focus. Because I was relatively close, a short focal length (57mm) allowed the background to come in just the right amount. Had I used a longer lens and shot from farther away, it would have put the background too far out of the focal plane. Camera bodies that have depth of field preview can be useful for seeing the result at stopped down apertures. Note that I used excessive negative space. I did this to allow for expected, subsequent placement of text/artwork. In some of the images from this shoot, I placed the empty area to the left while I placed others to the right, depending primarily on specific scene composition. Resulting image appropriate for a Facebook event photo., cropped and resized to the optimum pixel dimensions for Facebook and logo added. Click on image for larger version. In arranging people in a group shot, it usually looks better to have them sit or stand closer together than they would be if they were in a natural, social setting. Most people like to have some breathing space around them but for photos, it usually looks better to close the gaps between people as much as possible, without making them look crowded. Note that I closed the gaps on either side of the central figure as well. When using props like the old truck in this case, it is not always necessary to include its entirety, especially if it is large. Note also that I did not include the entirety of the barn. For this shot, the subject is the band while the props were merely accessories. It can be confusing to see more than one subject in an image. 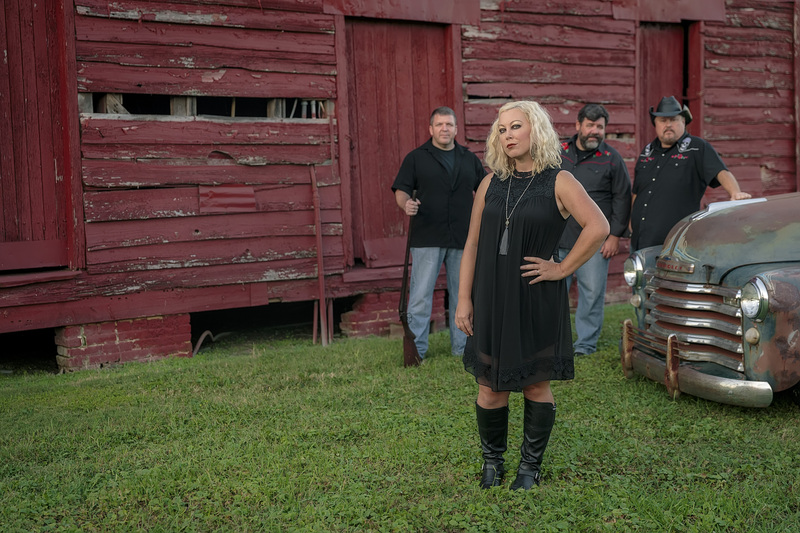 Allowing too much of the barn or the truck would have detracted from the band members. A final consideration is point of view. While I could have taken this shot from normal standing height, I chose to crouch down a little and take it from mid-height. A higher point of view would have looked too common and more like a casual snapshot. Other options include shooting from below, looking up. Shooting from any sort of angle, especially with a wider angle lens can sometimes distort scenes and the subjects in them to the point of being distracting. My job was to highlight the band – not my photography, the latter of which should speak for itself in the final product. A great image should be a win for your client as well as for you, the photographer. 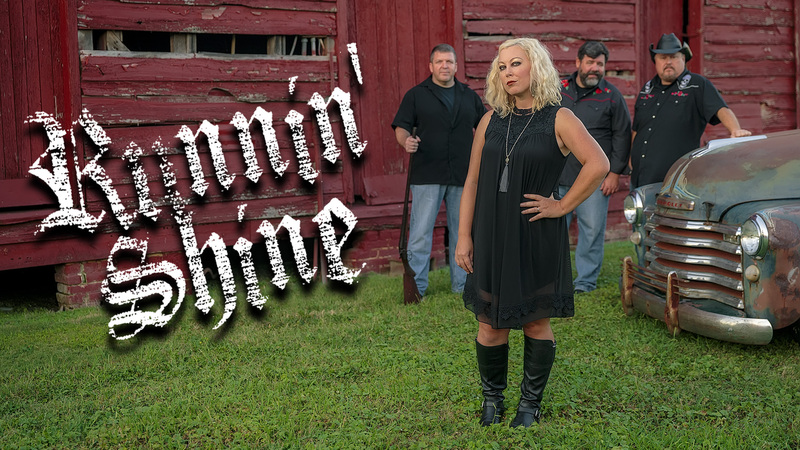 Check out Runnin’ Shine on the web, like them on Facebook, or follow them on Instagram. Interested in getting better pictures? Consider one of my private or semi-private clinics. rand on Straight Out Of Camera? Jerry Wayne Gammon on Should I be Shooting in Manual? Glenn on Should I be Shooting in Manual? Bobill Weaver on Should I be Shooting in Manual? Enjoy this article? Please help spread the word.